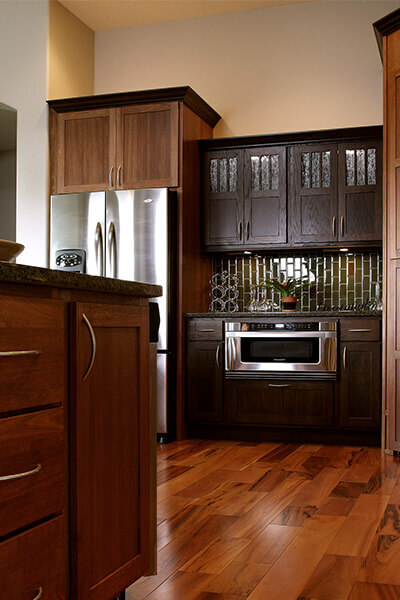 Let DreamMaker’s kitchen cabinet refacing and bathroom cabinet refacing give a fresh new look to your Livonia home. Cabinet refacing by DreamMaker® Bath & Kitchen gives homeowners in Livonia a convenient and cost-effective way to transform the cabinets in their homes. Refacing provides all the benefits of brand-new cabinets, but without the drawn-out installation work and expense that new cabinets entail. Known for our commitment to excellence, we’ll use only the finest materials and the most efficient installation methods to transform the cabinets in your home in Livonia. Plus, our team will show complete respect for you and your home throughout the process, including cleaning up thoroughly after we’ve completed our cabinet refacing work. In addition to cabinet refacing, we also can beautify the surrounding indoor space in many ways. For instance, if we give your kitchen cabinets a new wood exterior, we can install a new exterior over your refrigerator to match. We also can install under-cabinet lighting, new countertops and sinks to complement your cabinets’ new look. To upgrade your cabinets in a convenient and cost-efficient fashion, contact DreamMaker Bath & Kitchen today. We look forward to discussing how our cabinet refacing services can help beautify your bathroom or kitchen in your home in Michigan. We are proud to serve homeowners in Livonia, Novi, Farmington, Farmington Hills, West Bloomfield, Walled Lake, and Metro Detroit. 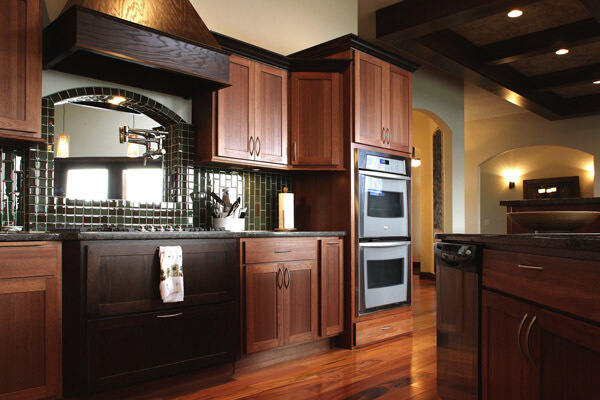 Come visit us in our design center or give us a call today regarding your cabinet remodel.